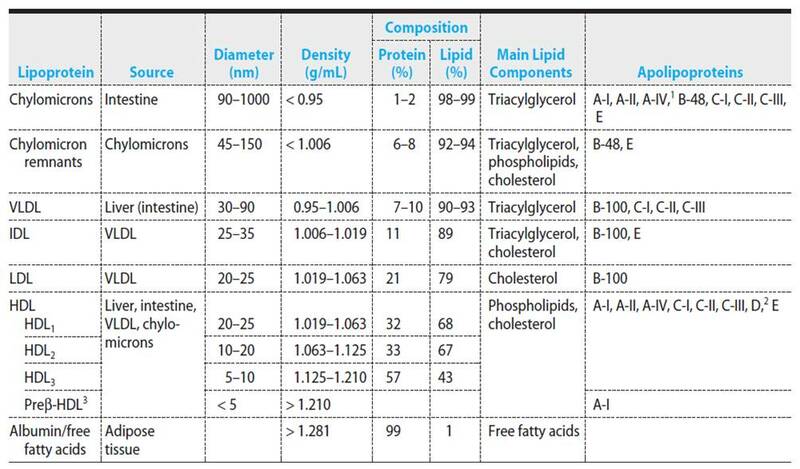 Transport TAG (Triacylglycerol) to tissues and deliver remaining cholesterol & cholesterol ester to the liver. VLDL is synthesised in liver and converted to LDL which contain an increased proportion of cholesterol & cholesteryl ester (due to loss of TAG). 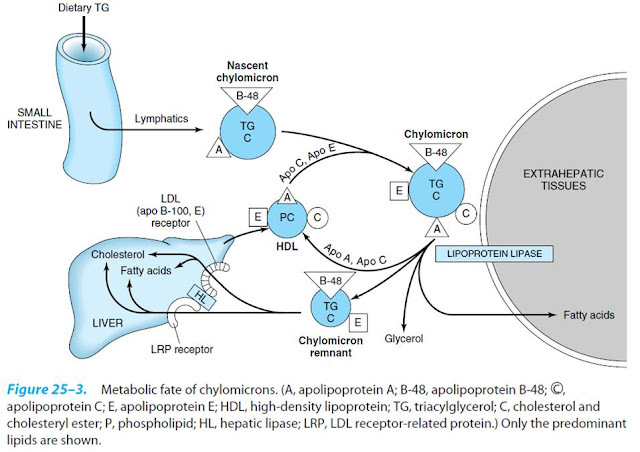 Transport TAG and cholesterol from liver to tissues. 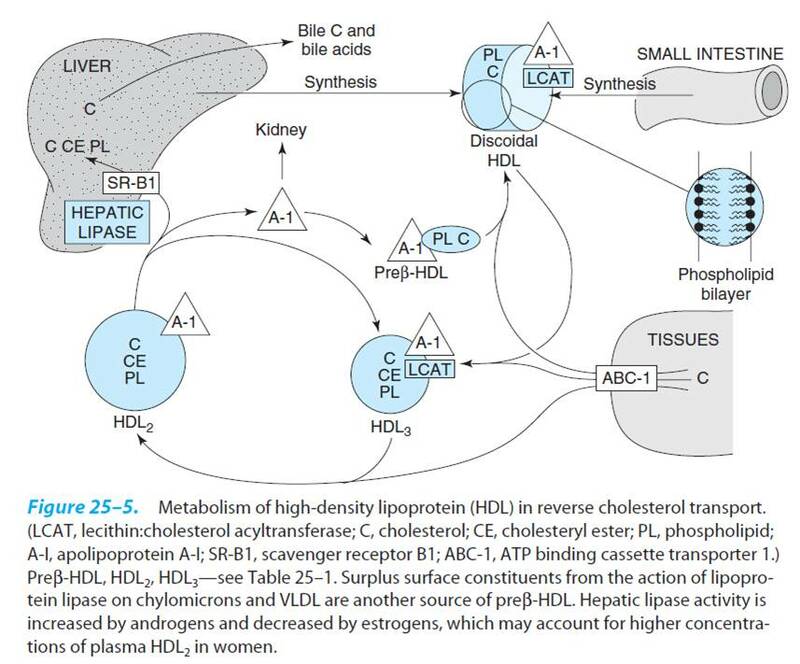 HDL carries “used” cholesterol (as CE) back to the liver. 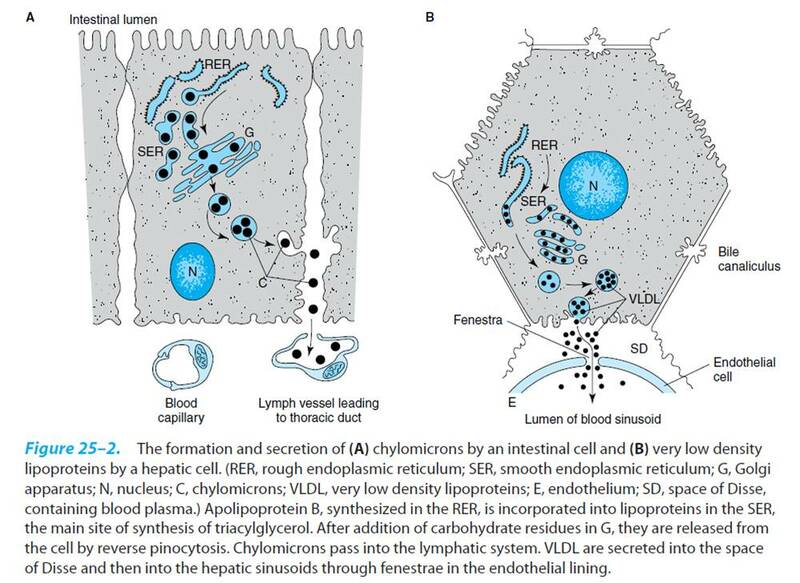 Also donate some CE to circulating VLDL for redistribution to tissues. HDL taken up by liver and degraded. 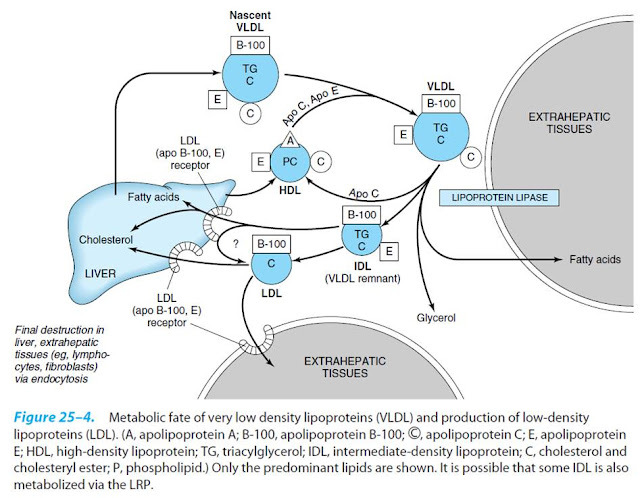 The cholesterol is excreted as bile salts or repackaged in VLDL for distribution to tissues. Cholesterol synthesis in the liver is regulated by the cholesterol arriving through HDL (and dietary cholesterol returned by chylomicron remnants). Cholesterol (CE) in HDL is referred to as “good cholesterol”.